Short on time? 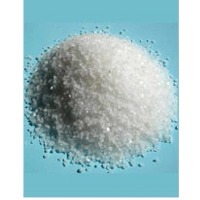 Let inorganic-salt sellers contact you. 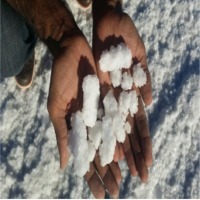 The crude salt can be used without being subjected to any process and is so clean naturally that the white appearance and its cleanliness makes it easy to use with comfort in many sectors. 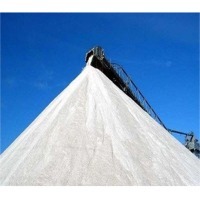 1.5 million tons of crude salt are produced every year. The purity is between 98,9% and 99,1% and the moisture is 2,4%. The process of natural raw salt production leads that steps below: Recrystallization, evaporation, salt excavation and storage. 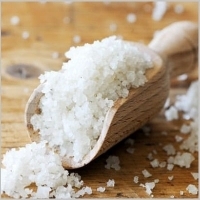 We can pack our natural raw salt in 10 kgs, 25 kgs, 50 kgs PP bags, in bulks as spilling salt and in big bags for you. 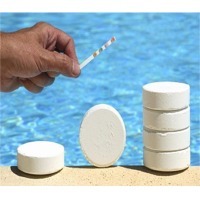 We are capable of making private brand name and labelling as optional. ISO and other required certificates as 9001, 14001, 22000, OHSAS 18001, HACCP and HALAL Certificates are available to be presented to our customers. 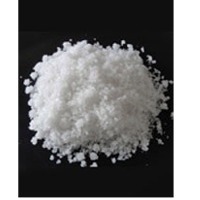 The crude salt can be used without being subjected to any process and is so clean naturally that the white appearance and its cleanliness makes it easy to use with comfort in many sectors. 1.5 million tons of crude salt are produced every year. 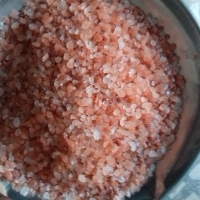 After the storage process of natural raw salt, it is firstly crushed and then washed to become a high quality washed salt. 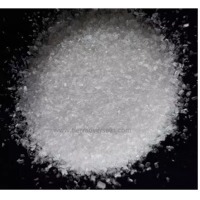 Coarse washed salt is a mineral composed primarily of sodium chloride (NaCI), a chemical compound belonging to the larger grain size of salts. The purity is 99,1% and the moisture is 2,32%. 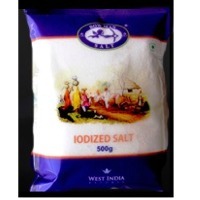 We can also present you our double washed salt with the purity of 99,2% and the moisture of 2,45%. We can pack your washed salt orders in 25 kg/50 kg PP white bags and in 1000 kg/1300 kg/1350 kg big bags and also in bulks as spilling salt. ISO and other required certificates as 9001, 14001, 22000, OHSAS 18001, HACCP and HALAL Certificates are available to be presented to our customers. 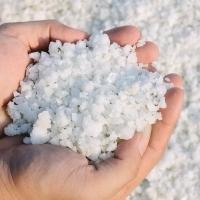 Mutlucan Tuz A.S. is one of the leading salt producers of Turkey. Its a big pleasure for us to meet you at a such trade platform. 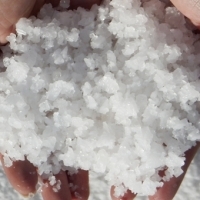 As Mutlucan, We have been producing 1.500.000 million tons of natural raw salt annualy with the solar evaporation method from the Salt Lake, which is located in the Central Anatolian Region of Turkey. 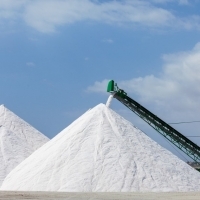 We are capable of producing 180.000 tons of processed salt according to our customers needs. Years ago, the Ion Exchange Resin Technique was developed to improve the quality of water chemistry, to remove water-soluble minerals from water. 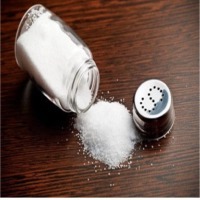 Today, every appliance that we call Water Softening Equipment in every industrial facility is also an Ion Exchanger Calcium (CA) and magnesium (Mg) ions, which are present in water and are referred to as hardness, are removed from the water and replaced with sodium (Na) ion in the water NaCl salt. The purity is 99,1% and 0,1% of moisture. 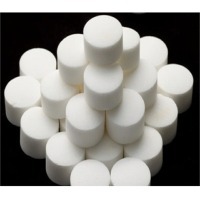 For water softening and purification both granule and tablet salts are produced in high purity food quality. 10 kg. / 25 kg. / 50 kg. Packaging options are available in the form of PE* and PP bags which can be labelled and designed in the name of customers brand name. ISO and other required certificates as 9001, 14001, 22000, OHSAS 18001, HACCP and HALAL Certificates are available to be presented to our customers. *** PE bag is a very special packing tool which is produced by a specified producer with a basic cost, thats why PE bag cost will be charged to our customers in accordance with your order quantity. 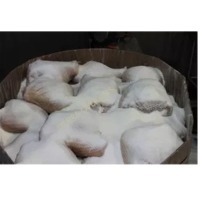 As Mutlucan Salt, we are not producing pure dried vacuum salt in our factory, meanwhile we have a business partner, who has been producing and supplying us very pure quality vacuum salt for industrial usage as round/square pillow tablet salts. 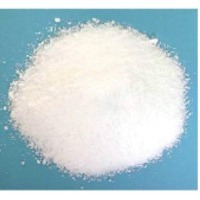 The purity is between 99,4% and 99,9% and moisture of 0,01% as white colour. 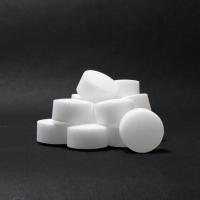 The width is 25 mm and height is 15 mm for round shape pdv tablet salt and the width is 22 mm and height is 12 mm for square pillow shape pdv tablet salt. 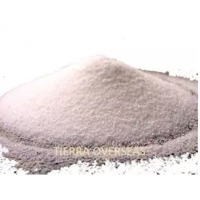 We are capable of packaging your PDV grain and tablet salt orders in 10 kg. / 25 kg. / 50 kg. PP/PE* bags and/or inside 1000 kg. / 1300 kg. / 1350 kg. of big bags or 25 kgs PP/PE* bags on pallets. ISO and other required certificates as 9001, 14001, 22000, OHSAS 18001, HACCP and HALAL Certificates are available to be presented to our customers. *** PE bag is a very special packing tool which is produced by a specified producer with a basic cost, thats why PE bag cost will be charged to our customers in accordance with your order quantity.